Even though I have three boys I still find it hard top make cards for teenage boys. I don't know why but it always takes twice as long to make cards for them. Here are two I made this weekend. I used a digi stamp from Mo's digital pencil and coloured it with Copic's. 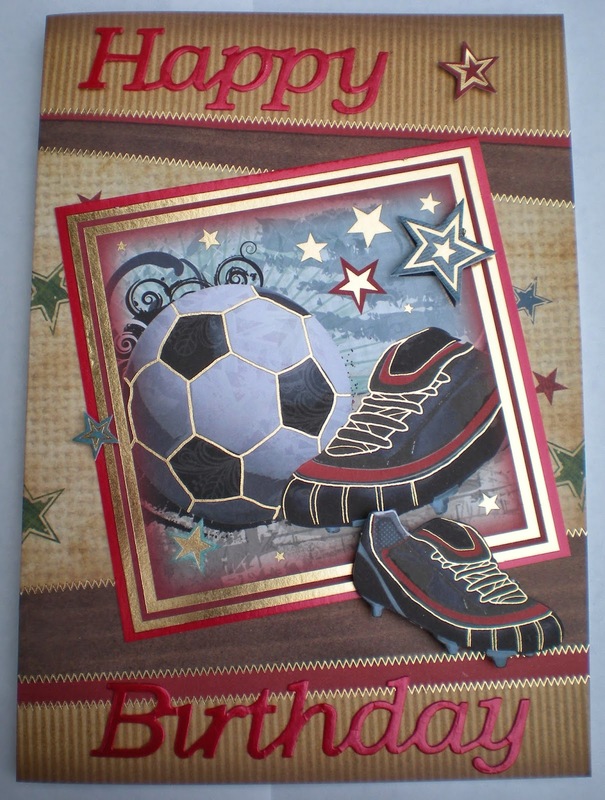 The card and greeting are from Crafter's Companion's Camden Town range. 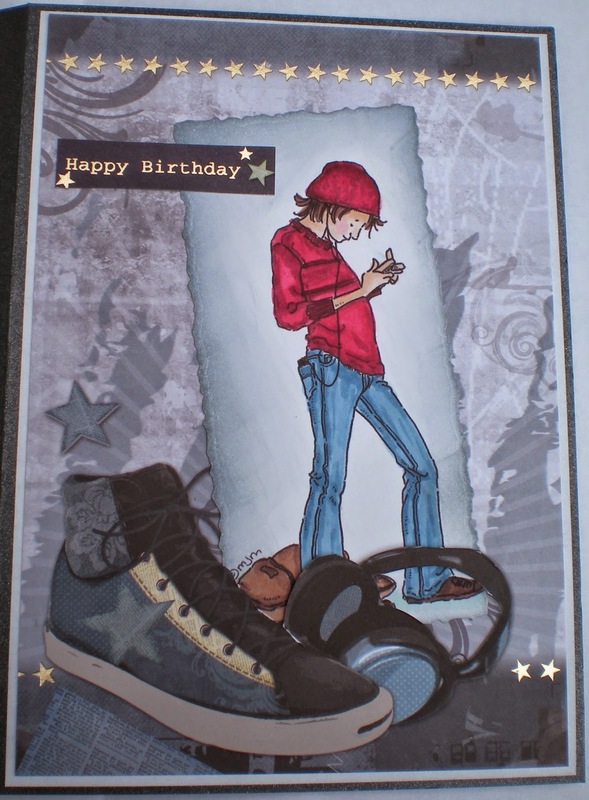 This card was also made using the Camden Town papercrfting kit and the Happy Birthday was cut using the Crafter's Companion Die'sire Say it with Words die's.